For current Fire Chiefs and Chief Officer members, CalChiefs appreciates your support and hopes that you will renew again this year. You will note that our membership dues have been raised significantly again this year. This change reflects the direction requested by our members at our Annual Conference and the cost for meeting those goals. Formal action on the dues increase was taken at our Annual Planning meeting in January of this year, in accordance with our Bylaws. To read the notice we sent to our members regarding this change, please click here. For those Chiefs and Chief Officers who are not yet a member, please consider becoming a member and supporting the efforts of CalChiefs in maintaining and improving the delivery of emergency fire and medical services in California. CalChiefs membership cycle is from July 1st through June 30th. Memberships may be paid for online through our website or by check mailed to our office. It’s important to note that if you pay online through our website, your membership payment will also include the convenience fee charged by Square, our online payment company. That charge is 2.90% of the payment, plus $0.30 per transaction. If you pay by check, there is no fee for payment. Whether paying by check or online, please ensure that you fill out the membership form your respective “tier”. For information about memberships please contact Executive Director Tracey Hansen at [email protected] or 916.923.9455. 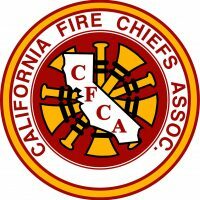 For membership in one of CalChiefs eight (8) Sections, which is a completely separate membership process, please select the following link CalChiefs Sections. To RENEW your membership – please select the membership type below that you would like to renew, log in with your credentials, then select your name from the Renew Membership drop-down menu. Already a member and want to review your purchases? All Fire Chiefs of any public or private agency, CalChiefs Sections/Divisions plus Group memberships that are included based on the size (tier) of the department. Please select the proper dues amount for the size of your agency. Each additional CalChiefs member of a department/district/agency beyond those included in the agency’s primary membership. Any retired Chief level officer. Individuals or agencies engaged in the manufacture or sale of fire service apparatus, supplies or services and others that are interested in the field of emergency fire or medical services. For membership payment by check please complete the membership form and submit along with payment.